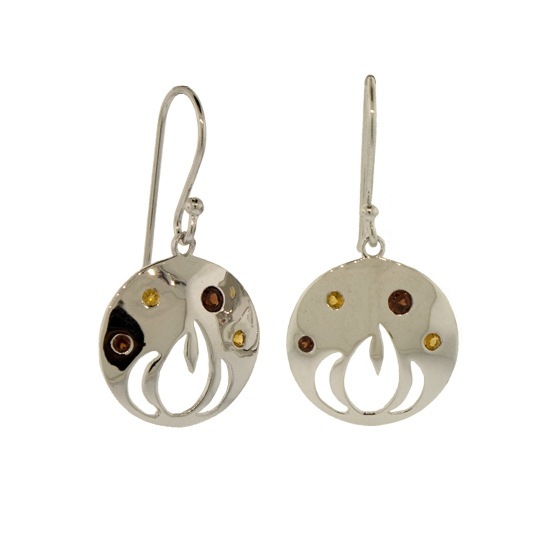 Cast and Sterling Silver with Light and Dark Citrine, depicting the element of fire. Cutest boutique ever!!! I ordered 2 pair and will definitely be buying more! The earrings came in right before a vacation, they look super cute in my vacation pics! A perfect pop of color.